We wrote in Washington Post Sells Out about the dirty little secret of the Post Post (NYSE: WPO) selling access to its' reporters, and to elected and administration officials. The Post today continued their own self-flagelation, in Post Co. Cancels Corporate Dinners. Well, it appears that the marketing department of the Washington Post, who, as we previously suggested might be considering booking the staff photographers out for non-editorial work, didn't think that the staff photographers' work was good enough for use in the marketing materials promoting the "salon" or to shoot something for it? So, then, where did they get the image from? There's just something wrong with this picture, and I don't mean the actual image. The Washington Post (NYSE: WPO) continues its' downward turn. Not content to watch their own freefall, they instead turned the nose straight towards the ground and powered the engines to full, accelerating their plummet. I've photographed my share of "salons" in Washington over the years. Here's how it goes, when it's a pure event: A high profile organizer invites a half-dozen elected officials, a half-dozen administration officials, a half-dozen think-tank policy wonks, and a half-dozen industry lobbyists. The salons are always off the record, and the conversation flows freely, and frankly. In all of these instances, everyone comes away better informed, and, yes, relationships are built. The problem is, when you take that last half-dozen lobbyists, and condition their "invitation" on a $25k to $250k fee, you create a really really big problem. First, with the details and links. Post Ombudsman Andrew Alexander, opines in The Post's 'Salon' Plan: A Public Relations Disaster, "For a storied newspaper that cherishes its reputation for ethical purity, this comes pretty close to a public relations disaster" who then goes on to say "The story, accurately reported by Politico (and former Post) reporter Mike Allen, is based on a flier being circulated by a new marketing arm of The Post." The Washington Post publisher Katharine Weymouth is cited in the Politico article, Washington Post cancels lobbyist event amid uproar, taking the position that "...The Post, which lost $19.5 million in the first quarter, sees bringing together Washington figures as a future revenue source." How long before Washingtonians can book a Pulitzer-Prize winning photojournalist to photograph their wedding? These photographers have slow days, especially on Saturdays, so why not schedule them for $10k to shoot a wedding? Heck, with the newsroom interventions this salon offer seems to have been making available, it might not be unreasonable that that "standalone art" or "weather feature" hole that needed filling in the paper instead gets filled with a select from that wedding the Post booked for its' under-utilized staff photographer. Heck, they could even book a freelancer, at a day rate of $200 to do it! What is most remarkable, is that the elected officials and administration officials likely would never have known that they were the literal bait to get the lobbyists to pony up $250k to get their message heard in a "salon" forum. Fortunately, a genuinely honest lobbyist for the health care industry felt it was a conflict of interest, and brought it to Politico's reporting staff. "Underwrite and participate in this intimate and exclusive Washington Post Salon, an off-the-record dinner and discussion at the home of CEO and Publisher Katharine Weymouth. ... Bring your organization’s CEO or executive director literally to the table. 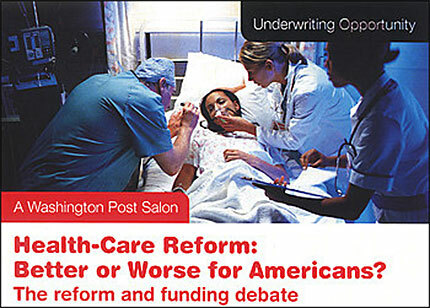 Interact with key Obama administration and congressional leaders." If that offer isn't selling out, I don't know what is. And you don't think they wouldn't consider selling out the photo staff too? Don't be so sure. Martin Luther King Jr. once famously said "The ultimate measure of a man is not where he stands in moments of comfort and convenience, but where he stands at times of challenge and controversy." But, how do you measure and weigh the good and the bad that one has contributed in weighing whether or not you have respect for them? The timely example (we'll get to more specific ones in a minute), is to judge Michael Jackson. Now, he has met his maker, and been judged where it matters most. However, where does he stack up in ones' own heart and mind? The easy comparison is to pit his music against the allegations and resulting settlements for his 'issues'. Yet, that does not factor in the good he did for charities, nor the odd manner in which he raised his children. The pendulum swings back and forth, and I could go on with hundreds of pluses and minuses. Thus, you get the point. Measure and celebrate just his music, and you have a hands-down showcase for any number of musical halls of fame. Add in other issues, and the matter gets decidedly cloudy. While we don't have unions, per se, how do you qualify a "scab" in the world of photography? And, when you do, is it okay to break bread with them and play nicey-nice? What would a reader of this column surmise if they witnessed me having lunch with the greatest proponent of work-made-for-hire, or microstock? I don't know if any one individual or company fits that bill, but what would a reader think? Without knowing the topics of conversation, it would be hard to draw a thoughtful conclusion. Suppose, I was trying very hard to convince them to step away from the dark side? Sometimes, these types of conversations are incremental, or relationship building. Successes can be measured in inches, and are sometimes imperceptible to the untrained eye. The President, regardless of administration, meets with other world leaders to find places of agreement, not to argue (at least not at first) over matters of disagreement. What, however, would be your reaction if a friend did a job you had turned down, because it was a work-made-for-hire job, or a $1k job that paid $100? And, if this same friend seemingly was echoing your anti-WMFH attitude, but you knew they had signed a WMFH contract to do that job, how would you react? Does your personal friendship survive and your business discourse with them get short circuited? If, for example, Time Magazine had named Saddam Hussein or Osama bin Laden Person of the Year, would you cancel your subscription? 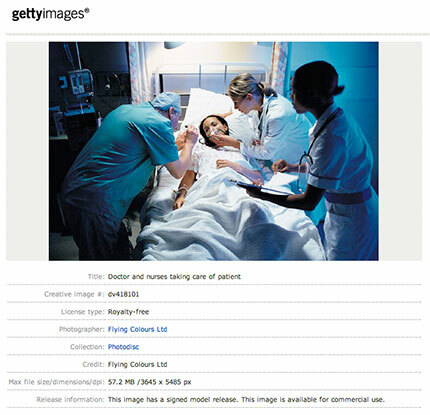 Was American Photo's celebration of the work of Robert Maplethorpe (a long time ago) enough to get people to cancel their subscriptions? When news outlets get metaphorically 'spanked' by fake news (like the fake reports of George Clooney's death) does the mindset "you reap what you sow" enter into the equation? As newspapers begin to actually rely on 'citizen journalists' for their content, over their journalistically trained professionals, will you accept the occasional assignment from them and lend your credibility to the publication, knowing that it adds to the credibility of the free 'citizen journalist' content? What if you got sent out to do the cover assignments for the publication every issue, but all the inside pages were filled with 'citizen journalism' and the frequent bad image, would you associate yourself with that? Lots of questions here, what do you think? How committed are you to being a photographer? 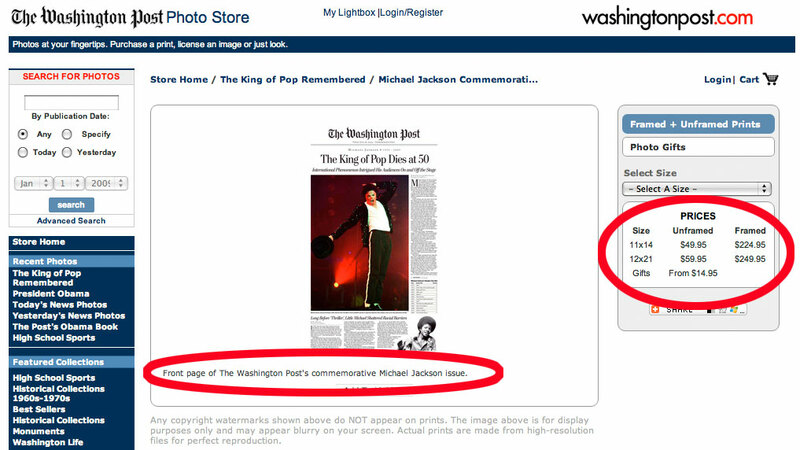 The Washington Post, (NYSE: WPO) which normally sells reprints of past editions from major news stories for keepsake purposes, has stooped to a new low, faking a cover to cash in on Jackson's death. To make matters even more absurd, Matt Schudel, in his article "Michael Jackson Obit, the Backstory" writes of the Jackson obit "...we had no advance obituary prepared." Really? 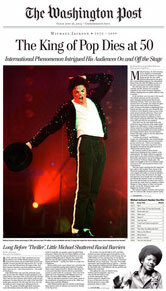 The King of Pop, whom you deem worthy of a $249 framed "commemorative" issue of, had no advance obit of Jackson? Since Jackson, at the age of 50, was not expected to die anytime soon, despite many reports of health irregularities over the years, it's little surprise that an over-worked and under-staffed newspaper would not focus on preparing an obit, given the numerous rounds of staff reductions in recent times. The fake cover - that is - it's not an actual cover from the newspaper the day Jackson died - can be had in a framed version for as much as $249.95. 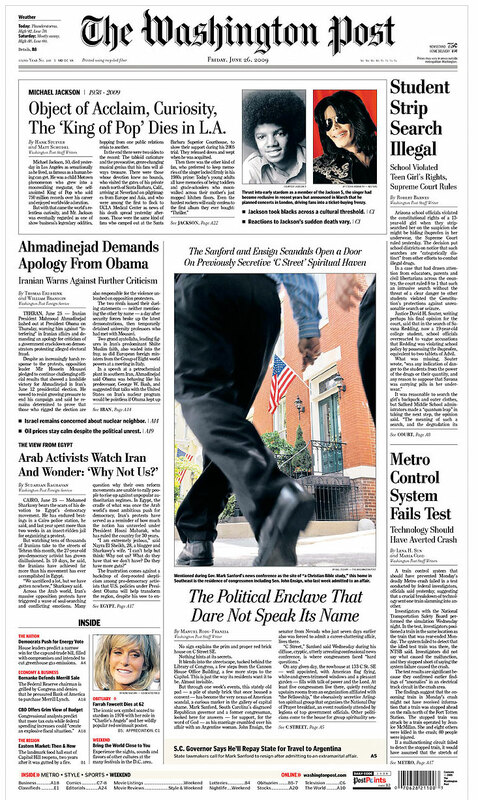 The Post should think twice about faking it's front page - re-writing history from its' actual front page to one that they can sell "commemorative" copies of. Q. Do you endorse the view of Sonia Zjawinski that it is perfectly acceptable to steal copyrighted images from the Internet? Do you think it's a good idea for The New York Times to seemingly endorse such views by publishing them? Or do you think it is as disgusting and outrageous as I do? We are strong proponents of copyright protection. The New York Times does not endorse, nor is it our policy to engage in, the infringement of copyrighted work. We apologize for any suggestion to the contrary. Interestingly, this was the last question on the last page of the Q&A, seemingly buried at the end of the discourse. In a sense, like corporations or government officials putting out bad news late on a Friday afternoon, where it will be missed by many. What is also interesting, is that McNally does her darnedest to differentiate "The New York Times", as was inquired about in the question, when she refers to the piece by Zjawinski, under the masthead of the The New York Times as being "...on Gadgetwise, a New York Times blog about personal technology..." as if to say the blog isn't really the Times. With thanks to Tampa photographer James Broome for the heads up on this in the comments of the original post.